MACROCAST™ continues to indicate low probability of a recessionary bear market. 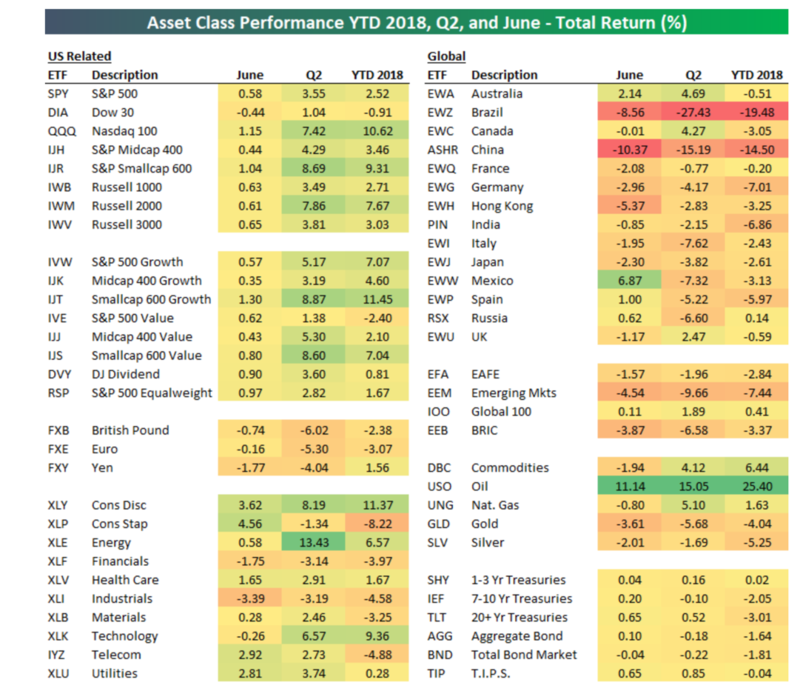 Our review of asset class performance shows strong returns from US equities, led by small cap stocks. 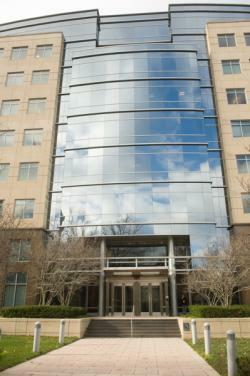 International investments have struggled, at least partially driven by a stronger US dollar. Bonds and other interest-rate-sensitive investments have also performed poorly so far this year. 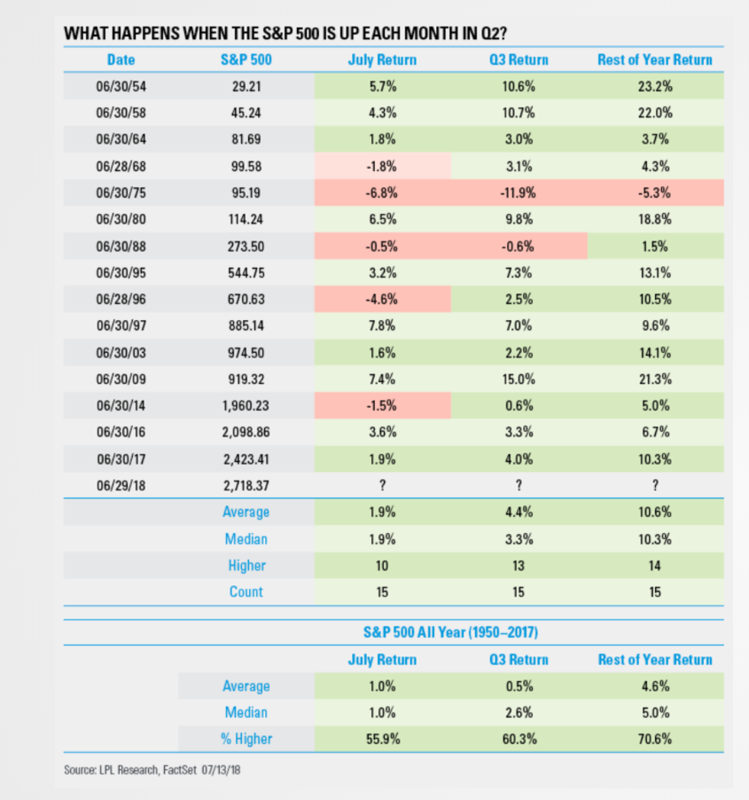 The S&P 500 was positive each month of Q2 for the third year in a row. Historically, the market performed better than average when this was the case. MACROCASTTM is Corbett Road’s in-house model that measures the attractiveness of risky assets by looking at the VITALS of the market—Valuation, Inflation, Technical Analysis, Aggregate Economy, Liquidity, and Sentiment. We use our model to assess the chance of major, protracted bear markets vs. the more common or “normal” corrections (typically 5-15%). Examples of such major bear markets are the declines of 1973-74, 2000-2002, and the financial crisis of 2008. By potentially avoiding major losses in these types of markets, we can preserve capital and reduce our clients’ stress and concern. While the MACROCAST™ score decreased from June, it continues to suggest a sustained major market decline is unlikely. The strongest reading in MACROCASTTM is coming from the Liquidity and Inflation categories. Liquidity focuses on interest rates and action by the Federal Reserve, while the Inflation category looks at the cost of goods and services. Despite consistent increases over the past two years by the Fed, interest rates remain near historic lows. Inflation has also risen, but again, nowhere near previous levels where it has often had a negative impact on stocks. Oil prices also remain low compared to the last 10 years. Valuation is still the biggest negative within MACROCASTTM, but this has been the case for several years. High valuations are not always indicative of how the market will perform over the next six to twelve months. 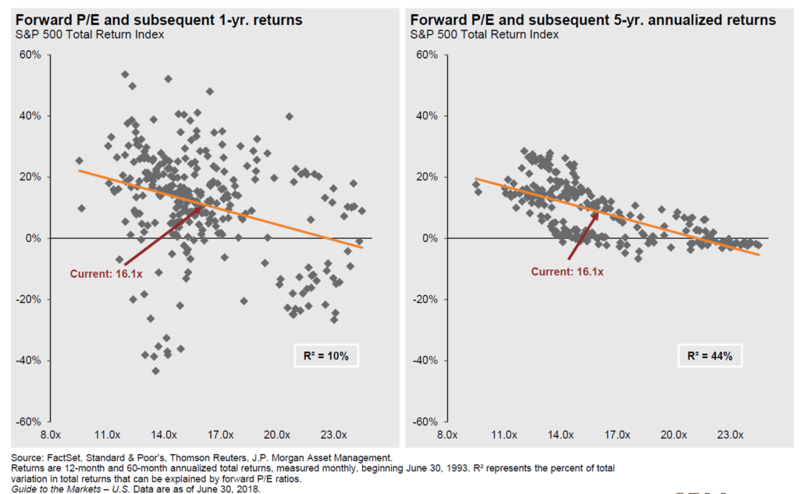 In fact, data from JP Morgan shows that valuations explain very little about the performance of stocks a year out; they are better at determining the performance of the market over 5+ years. US equities are outperforming. After a strong 2017 from international stocks, the US has once again taken the lead. Strong outperformance from small caps and growth stocks have powered the market higher. Specifically, stocks within the technology and consumer discretionary sectors are leading. Traditionally defensive investments are down. Stocks in the consumer staples, utilities, and real estate sectors, which are considered “defensive,” have seen flat to negative returns in 2018. Many stocks in these sectors pay dividends, which made them vulnerable to the increase in rates. Bonds have also underperformed as a result of higher rates (bond prices typically fall when rates rise). Emerging markets are struggling. Internationally, you can look at a stronger US dollar as the biggest driver of the weakness. While shifts in the value of currencies have a lot of moving parts, the dollar often strengthens due to the US economy performing better than its international peers. In turn, a stronger dollar hurts international returns for US-based investors. For example, the Euro was down 3% vs. the dollar through June. That means that no matter how well or poorly one of the Eurozone stock markets did, a US investor has to subtract 3% from the market returns in the country’s home currency. For the third consecutive year, the S&P 500 was positive in April, May, and June. Moreover, the S&P 500 is up over 4% so far in July. This has happened 10 times since 1950 leading to a positive market returns the rest of the year in all 10 instances, with average returns of 10% over the final 5 months. In case you missed it, the link below will take you to the latest episode of the Corbett Road Podcast. Topics include the impact of a potential trade war and stock buybacks. It’s a quick listen, and we welcome any questions or feedback you have. The chart(s)/graph(s) shown is(are) for informational purposes only and should not be considered as a suggestion of any investment recommendation, investment strategy, or as an offer of advice to buy, sell, or exchange any investment product or investment vehicle. Past performance may not be indicative of future results. While the sources of information, including any forward-looking statements and estimates, included in this (these) chart(s)/graph(s) was deemed reliable, Corbett Road Wealth Management, Spire Wealth Management LLC, Spire Securities LLC and its affiliates do not guarantee its accuracy. The views and opinions expressed in this article are those of the authors and do not necessarily reflect the opinions of Spire Wealth Management LLC, Spire Securities LLC or its affiliates. All information is based on sources deemed reliable, but no warranty or guarantee is made as to its accuracy or completeness. MACROCASTTM is a proprietary index used by Corbett Road Wealth Management to help assist in the investment decision-making process. Neither the information provided by MACROCASTTM nor any opinion expressed herein constitutes a solicitation for the purchase or sale of any securities, and should not be relied on as financial advice. The phrase “the market” refers to the S&P 500 Total Return Index unless otherwise stated. The phrase “risk assets” refers to equities, REITs, high yield bonds, and other high volatility securities. Past performance is no guarantee of future results.